SNK have been one of the most consistently forward-thinking developers in modern video gaming history, creating specifically some of the best 2D fighting games that have ever graced our presence. 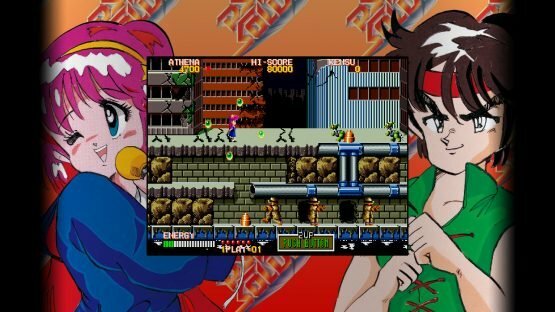 To celebrate the 40th birthday of the iconic studio, NIS America have brought the SNK 40th Anniversary Collection to the West. This review will be go a little differently than normal, because there’s so many different genres and games on this collection, so we wanted to give a smaller mini-review to each of the titles in the set to give a more rounded view on the collection as a whole. Then, finally cover the game itself in terms of content and other components. We miss games like this, those hard-as-nails top-down shooters from yesteryear. 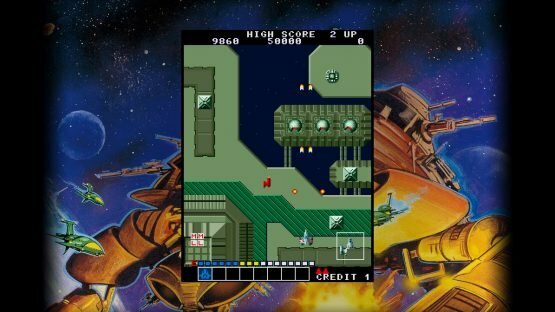 Alpha Mission has all of the hallmarks of this style of games; complete with indistinct aerial setting, both in-air and ground enemies, and steady slew of increasingly over-powered upgrades that you will inevitably lose when you’re blindsided by something you didn’t see. 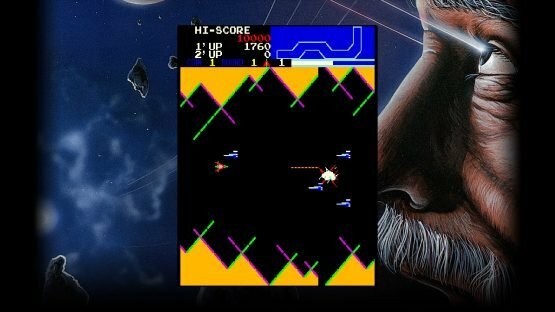 Alpha Mission is a fairly enjoyable title with tight and responsive controls, and has a gorgeously distinct visual design with nothing ever feeling too cluttered. Furthermore, the game isn’t too unbalanced in terms of difficulty; there are occasions with enemies that will appear from behind you, but these occasions are limited and the controls are responsive enough to avoid should you need to. A side-scrolling adventure, with almost relentless enemies and steadily increasing upgrades to your player character’s movement and attack capability. The problem with this is if you fall, your progress isn’t reset through the levels, but your upgrades are, almost invariably putting you into circumstances in which you have no capability to defend yourself. Bright, colourful, and with big sprites for visual clarity, Athena actually still looks pretty good even by today’s standards. However it is possibly one of the most disappointing games in the collection because all of the points that Athena scores from visual charm and relatively solid moment-to-moment gameplay are chipped away by frustration from the crushingly brutal difficulty. A tremendously fun isometric view adventure title, very clearly inspired by The Legend Of Zelda and early Final Fantasy titles, Crystalis is one of the most solid games in the collection. Its rudimentary art style hides a lot of depth, similar to that of the other franchises we have mentioned. After a visit to your first village and picking up your first sword, you’re off out into the world hacking down various different creatures. The narrative might be a little typical of adventure titles, and the moment-to-moment gameplay simple, but this is an immersive and enjoyable adventure. 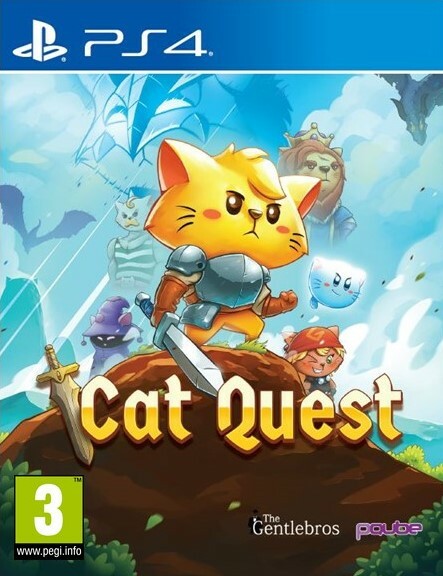 Also, it is completely undeniable that the key art that surrounds the gameplay on this title is so bad that it goes right back around to being good again. Beautifully endearing in a tragically 90s way. As something that will go on to be an ongoing trend in this review, Guerilla War is a top down shooter set in a generic warfare setting where you essentially just shoot or grenade your way through everything that stands in your way, collecting steadily more overpowered weapons (which does include several fun jaunts in tanks). Although the look of the game is both clear and yet visually interesting, it just simply feels awful to play. 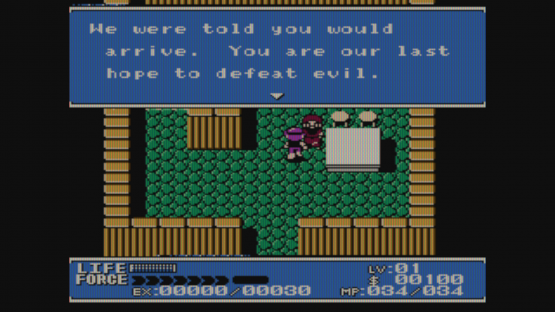 The enemies move far quicker than the player delay will allow and can attack from off-screen for extra fun, the NPCs you’re supposed to rescue are too easily killed or abducted before you can reach them, and the player just has one hit point to deal with all this. All the interesting visuals cannot save this one. We’ve put these three together as they definitely feel like a series, with the incremental improvements that you would expect from this era. As such, the first is a practically unplayable mess with unresponsive controls, unnecessary difficulty, and an almost bullet hell sensibility that isn’t suited to any of it. 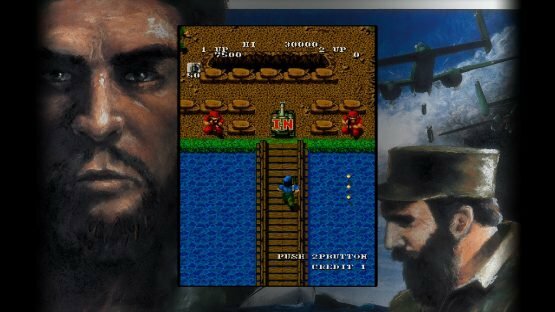 However, by the second title the gameplay has been refined to the point that Ikari Warriors II: Victory Road is a very enjoyable top-down shooter that starts at 11 out of 10 and never dials down. The only problem is the Ikari III: The Rescue, which changes just a little too much from the previous two. It’s okay, but feels like a waste after how good the second was and how few improvements were needed afterwards. This game is remarkably similar to Guerrilla War, only differing really because you are constantly in a tank. This does make the game slightly more understandable in its shortcomings, as the tank feels exactly as cumbersome as a tank should be, and just as sturdy too so your games don’t end unnecessarily early as enemy tanks essentially ram you. One distinctive feature of this title is the visual style, opting for a more cartoonish, blocky aesthetic that clashes beautifully with the key art that surrounds it. Iron Tank is one of the more solid titles on the collection, giving a decent amount of gameplay with minimal frustration, which is more than could be said for most of the titles here. 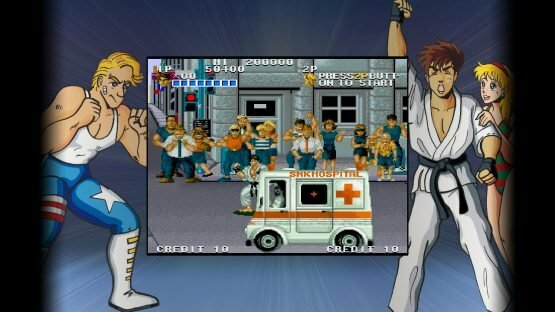 Side-scrolling 2D brawlers were quite popular in the late 80s and early 90s as seen by Golden Axe, Streets of Age, and (I guess) this. Playing as a Prisoner of War, you escape and begin brawling your way out using a variety of punches, kicks and headbutts, combined with weapons and jumps to shake up combat. The thing is that P.O.W. opts for the Golden Axe approach to the player taking damage. This is to say you are both launched and are also still vulnerable on the ground to taking future hits, which means that with the slight input delay that appears to be a common feature on the collection, you can take a lot of damage without really being able to defend yourself. This is a riot in co-op, or if you get lucky with the enemy RNG, otherwise it is very frustrating to play. This one is wonderfully ridiculous in both concept and execution. The player is tasked with investigating the disappearance of various craft around the Bahamas, in this side scrolling shooter. As there are massive clues in the title screen and in the, well, title itself, these disappearances are because of dinosaurs. 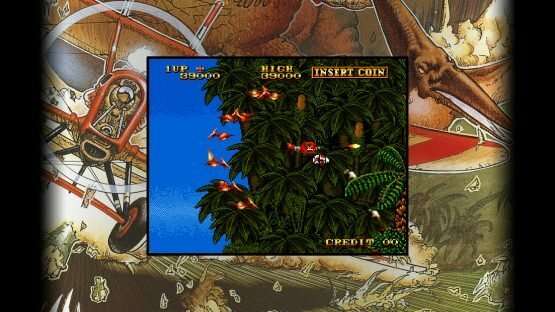 So this means that the player, in their little biplane are shooting pterodactyls, brachiosaurus and a whole host of other celebrities from the Jurassic Park films series. Aside from some completely horrendously anti-player enemy AI, Prehistoric Isle is actually a pretty good game, if a little dated in both gameplay and visuals. Most of its appeal lies in the dinosaur angle, and it most definitely owns it. This game is possibly the oddest one on the collection, ticking so many boxes for us here at Rice Digital. 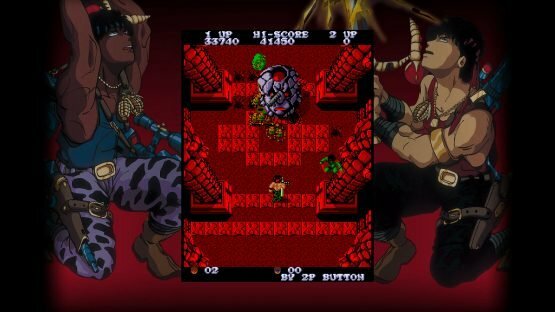 Psycho Soldier is an anime 2D shooting adventure. 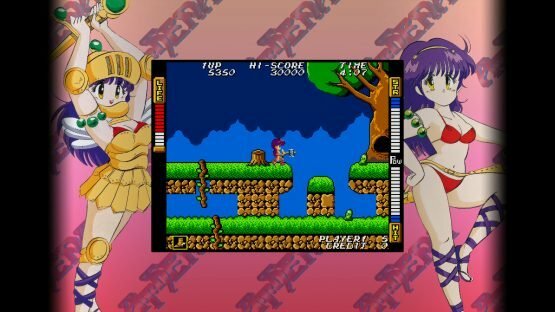 Playing as either Athena or Kensu, you run through a series of areas jumping between the several levels within each, taking out the various mythical creatures in your way. The fundamental appeal of Psycho Soldier lies in the aesthetic, which is unmistakably wonderful and unique amongst the other titles found here. The distinctly 1980s anime key art, beautifully stupid anime song that plays during the game, and the bright settings and colourful character and enemy designs all come together to make one of the most interesting titles on the collection. This game is, at the absolute best, confusing. At worse, we could easily state it as being one of the worst fighting games we have ever played, up there with the original Street Fighter game. Street Smart is a simple 1v1 fighting game; but the input delay is staggering, AI hugely unbalanced, and there is no tangible impact to any of the attacks. One huge positive about Street Smart is that it looks great, with interesting and varied character and setting designs. It looks fantastic in motion, even more impressive than similar games that followed it, but it just doesn’t feel great or even good to play. We’re just happy that SNK went on to learn from this arguable mess to make some of the best fighters of all time. 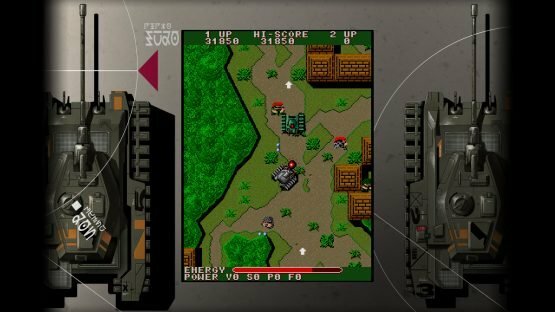 TNK III is another tank-based top-down shooter that plays much like a less cumbersome Iron Tank, which is odd with it coming three years before. 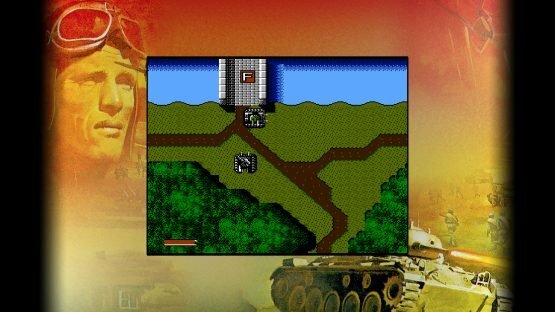 This game sees you blasting through various soldiers, tanks and other military weapons, however with a far more manoeuvrable tank complete with mortars and machine guns. As TNK III has a more forgiving checkpoint system, and a far less imposing numbers of enemies (at least in the beginning), this is possibly one of the easiest games on the collection but not without its challenge. 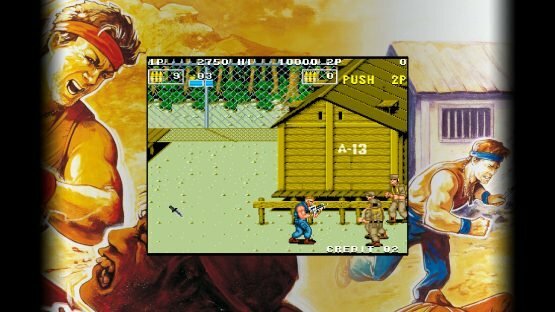 There are a lot of shooting-based titles on the SNK 40th Anniversary Collection, but this one has possibly the most firepower. As this is the oldest game on the collection, we went in skeptical as even some of the latest titles were inconsistent in many ways, and we were not too far off. Vanguard is an incredibly barebones scrolling shooter with simplistic colourful corridor-like levels shooting fast moving and aggressive enemies. This isn’t to say that Vanguard is a terrible title, quite the opposite in fact as the simple nature of the game makes it uncluttered even if frantic, with the player also being aided in navigation by a map occurring in each level. Also, the ability to shoot in four directions makes the gameplay actually less cruel and really balances out the difficulty. 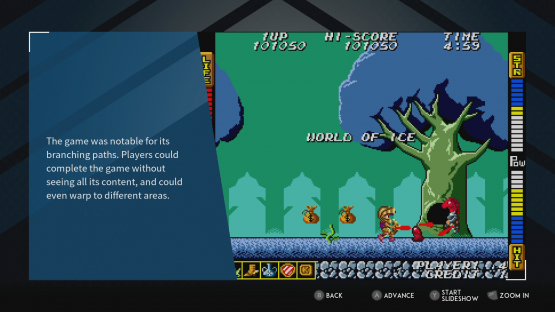 The package itself looks incredibly pretty with easily navigable menus, a chirpy core soundtrack, and an astoundingly in-depth museum charting all of SNK’s games between 1978 and 1990. This includes a full timeline of releases, concept art and arcade cabinet advertisements, as well as full soundtracks of the games on the collection itself. It is, in the truest sense, a gaming historian’s dream. 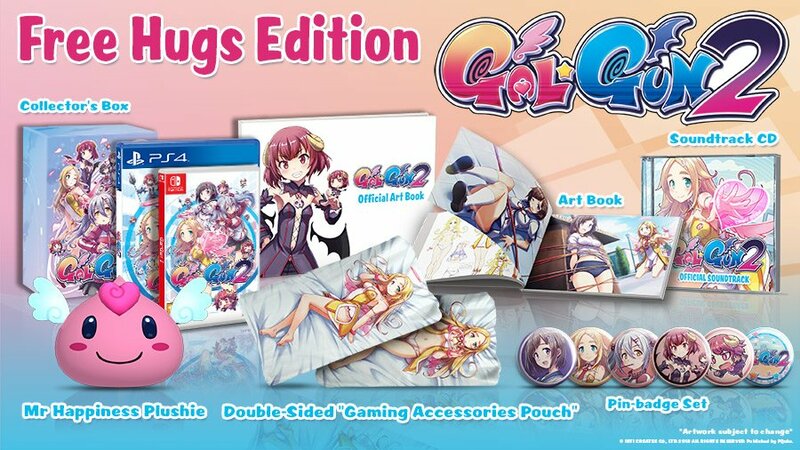 However, with this being the only content in the game and despite further titles being added to the roster of games on December 11th 2018, the collection isn’t quite enough to justify its price tag, especially given that a lot of the games that SNK are known for are missing here owing to the years this collection opts to focus on. No matter how nicely it presents itself, it is still lacklustre at best, disappointing at worst. 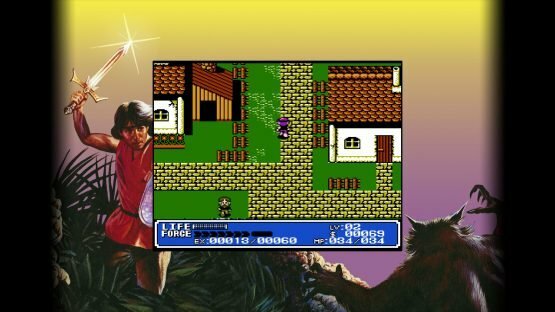 SNK 40th Anniversary Collection has gems amongst its roster, for sure, but ultimately it stands as a timely reminder that sometimes retro games should stay in the past. The great titles on here just aren’t enough to carry the whole collection. As a huge plus, looking back at where games started is always interesting, but on this occasion it has only served to show how much games have improved and, more importantly, diversified since 1990. If you add to this that many of the truly iconic titles of SNK’s history of genuinely fantastic games are missing entirely from this collection, it just feels like a colossal waste of potential and arguably not a celebration of SNK at all. 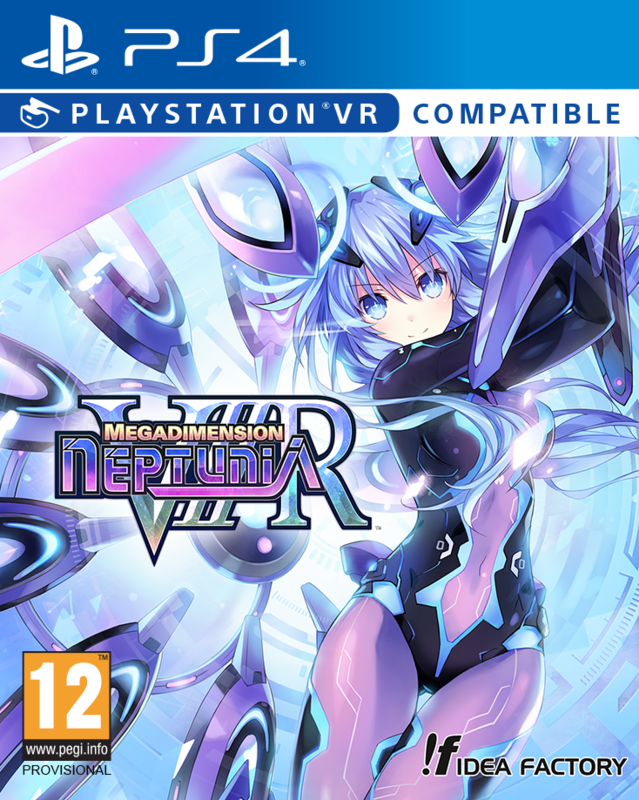 Furthermore, the release of this collection when there are so many incredible games to play at the moment just predestines this game to the scrapheap anyway. Great to look back on, sure, but even better if you don’t have to do so again.